This unnamed 740 meter diameter crater has bouldery walls and is morphologically similar to many <1 km diameter craters in the mare. Image width is 847 meters, LROC NAC M127328861L. The LROC NAC has imaged thousands of blocky craters similar to this example found in Oceanus Procellarum. The numerous boulders may be fragments of bedrock, regolith breccias formed by the impact itself, or a combination of both. 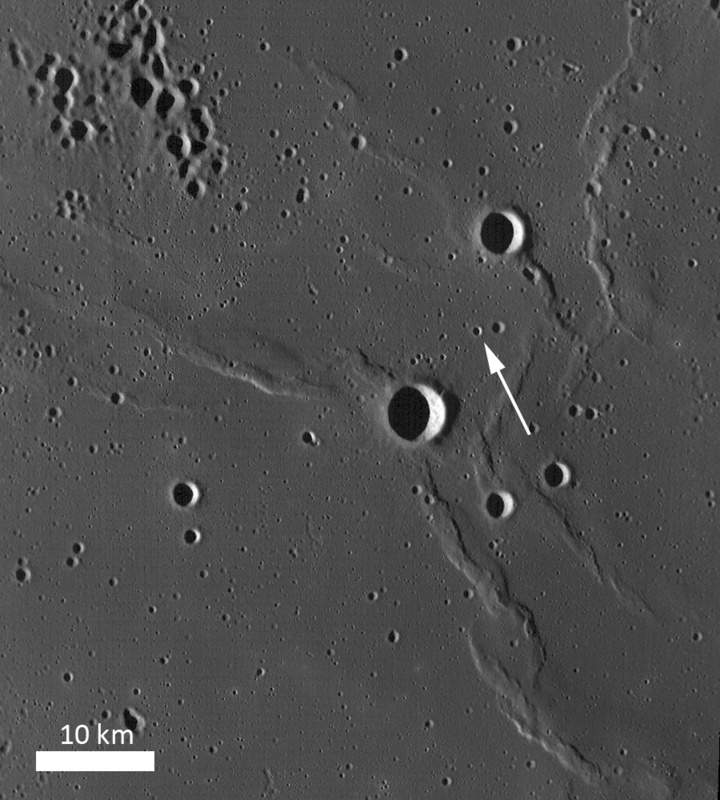 Since a crater depth of excavation is roughly one tenth its diameter, this small crater has probably distributed material from about 75 meters depth around its rim. 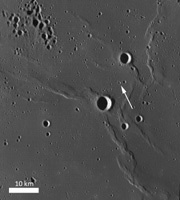 Usually, ejecta material on the rim comes from the deepest part of the crater, and ejecta farther away from the crater comes from shallower depths. Thus astronauts can walk towards a crater rim, sampling material from greater depths as the rim is approached in a radial cross-section of the ejecta blanket. As you look at these boulders, you are witnessing a history of the emplacement of this mare. If we could just pick up samples and bring them back to Earth, we could figure out how much time elapsed between mare basalt flows in this area and how much the composition changed with time.